She's using AGS though. Wish she'd port it to SCI. Maybe someone here would like to introduce her to that option (and this community)? So there's this MMORPG game Sierra made back in 1996, and was later bought by some other companies: The Realm Online. I recently found out it's actually written using (modified?) SCI 2.1 (!). We used a modified version of SCI (Sierra's Creative Interpreter) to create The Realm. It was the same engine used to make all of the existing adventure games, so we made The Realm in a similar style. We picked the cartoony art direction for two reasons: The artwork was highly compressible, and our artists could make it rapidly. Remember, this was the day of 28k modems. Download sizes were a huge deal! We didn't get into the store for several years, so our only method of distribution was digital download. Every kilobyte counted! SV.EXE is even able to open the game and view most of its resources! In all the lists of SCI games I never noticed The Realm Online. Weird. This version is already recognized by ScummVM (same md5's as the corrupt version) and working flawlessly. For the unaware - the only version available so far on the internet had a corrupt RESOURCE.001. 6 years ago I managed to construct a "fixed" demo using views extracted from the full game. However, one view (VIEW.010, shown in the final scene) was unique to the demo, which made my fix incomplete. You can read about it in this old ScummVM bug ticket. This time it even covers our beloved SCI engine, as well as the introduction of the MT-32 to Sierra's games. Just found this hilarious video! Every year, all of Lucasfilm would have a company meeting and each division would give the company an update on what they've been up to for the past year. I guess this video is from their 1990 or 1991 meeting. Everything-Else / Habitat is now Open Source! 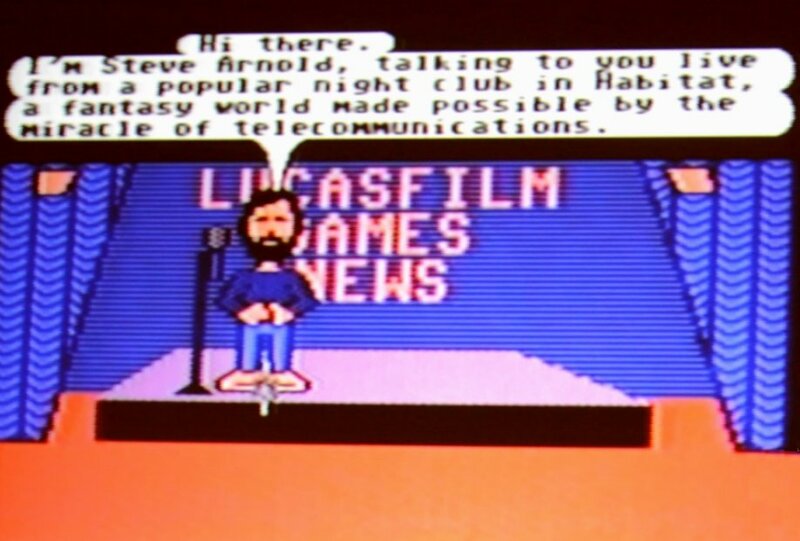 Lucas Art's Habitat was a very early attempt at online community/rpg, a bit like Sierra's ImagiNation Network. Now, the Museum of Art and Digital Entertainment has managed to collect the source code for Habitat and released it on GitHub. Hopefully they'll be able to make the server operational again and we'll be able to enjoy this piece of computer history. I just found a SCI demo that I never knew existed for the ImagiNation Network (INN). Unlike INN itself which used a modified version of SCI (called LSCI or Large Model SCI), this demo used the original SCI interpreter (version 1.001.097). The demo works fine both in DosBox and ScummVM.